If you are looking for Guam apartments for rent, you have quite a few options to choose from. At our website, we have apartments that range from $500 all the way up to $5,000 per month. The apartments range in price dependent on location, size, condition, and view. 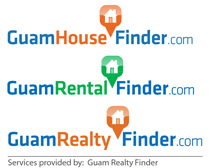 One of the key things to consider in selecting Guam apartments for rent is location. Now, Guam is not a huge island, and it only takes about 1.5 hours from top to bottom. But if you are working in Andersen Air Force Base(the most northern point in Guam), you don’t want to live in an apartment in Merizo(the southern most village in Guam). In terms of available Guam apartments for rent, most of them are located in central parts of the island. The area with the most number of apartments in Guam is the villages of Tamuning, Dededo, and Mangilao. But if you are looking for apartments with a view of the ocean, you may want to consider an apartment in the village of Tumon or Tamuning, the down town of Guam. The size of Guam apartments for rent varies greatly on price, but the most common apartment sizes is 2 bedroom 1 bath units. In many apartment buildings, there usually is an option of 1, 2, or 3 bedrooms. As for the size of the rooms, it greatly varies on price and location. The condition of Guam apartments for rent is one of the factors that determines the price as well. Usually Guam apartments for rent with marble floor, stone(granite, quartz, & marble) kitchen countertops, and updated bathrooms go for top dollars ranging from $1,900 to $5,000. On Guam there are a variety of apartment units and there may be some that are quite nice that are reasonably priced, but they go quickly. So it is best to work with a knowledgeable rental real estate agent, that is able to find places quickly, sometimes even before they are available on the market. One of the options when searching for a Guam apartment for rent is the view. A view of the ocean, a view of the mountain, or a view of the golf course are some of the options. But by far the most popular view is the ocean. Being a small island surrounded by the ocean, there are many places with an ocean view. But the more popular ocean view apartments are located in Tumon and Tamuning. The ocean view apartments in Tumon are located along San Vitores Road and overlooks Tumon Bay. The apartments and condos with an ocean view in Tamuning are mostly located along Agana Bay and boasts one of the most beautiful sunsets on Guam. And if you are looking for Guam apartments for rent beyond an ocean view, you may want to consider beach front apartments. Many of the beachfront apartments are located in the village of Tamuning and Tumon as well and boasts the beach as your back yard. Beachfront is also one of the top priced apartments in Guam and can go as high as $5,000 per month.